Returning to Odessa, there are unfortunately no listings of teachers in the 1904-5 directory as there are in later directories, some of which are divided into professions rather than streets, so there is no record of Leon Vysotsky. 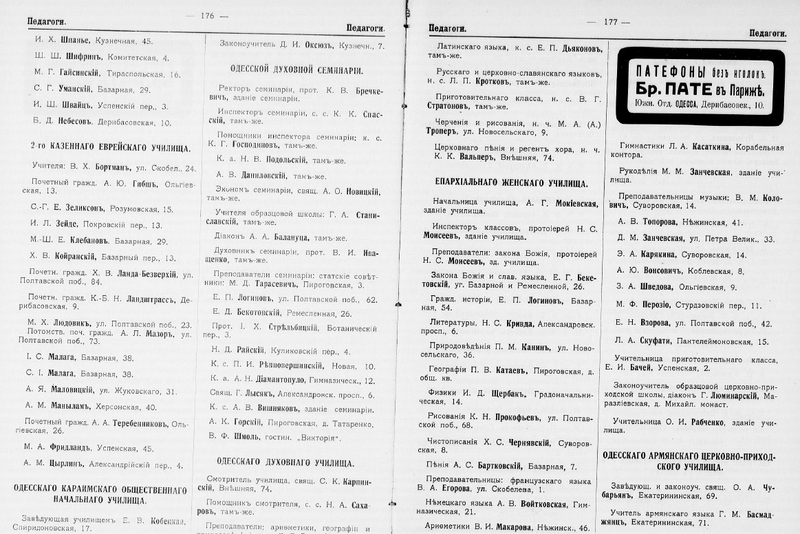 In the 1914 directory Kataev’s father is listed as a teacher, as is another teacher, his neighbour at 10 Otradnaya, E I Bachei, the name Kataev chose for his fictional family. 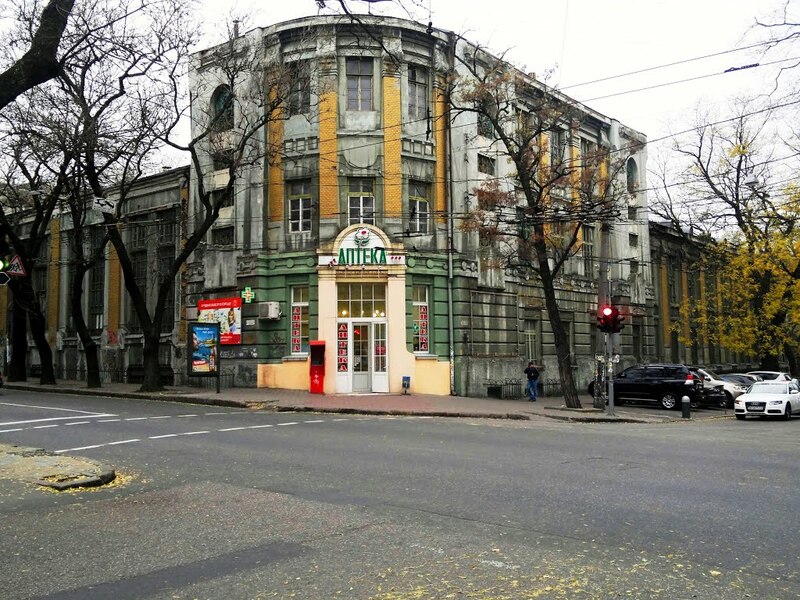 There are three addresses for the tea company, Vysotsky & Co, which are basically two buildings taking up one entire block of Kanatnaya and much of the two cross streets of that block, Uspenskaya and Troitskaya. This was a new development for the company as, in the 1902-3 directory, they owned one of the properties and two smaller properties on the same streets, unless the numbers had changed on those streets. The tea packing factory was on the Troitskaya corner. 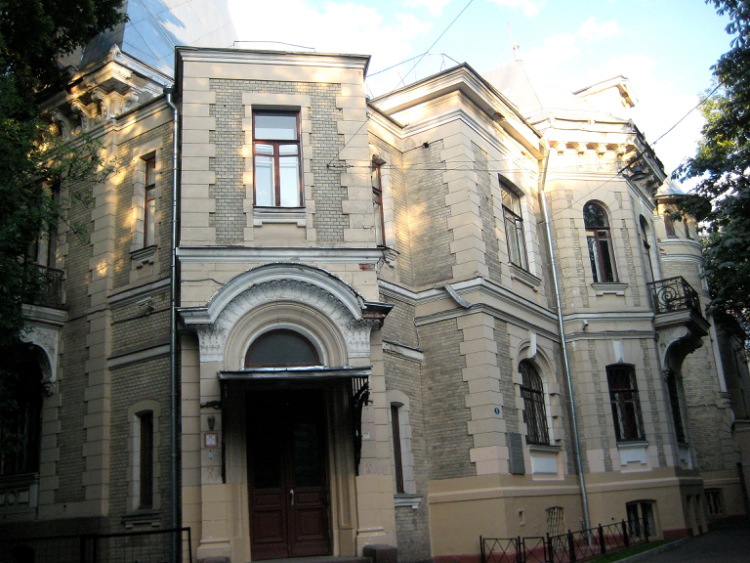 There are two other Vysotskys in the 1904-5 directory, an Edmund Vysotsky at 1 Dalnitskaya in Moldavanka and a banker, Vasily Victor Vysotsky, possibly a brother of Leon Victor, at 17 Polskaya, a couple of streets from Kanatnaya. 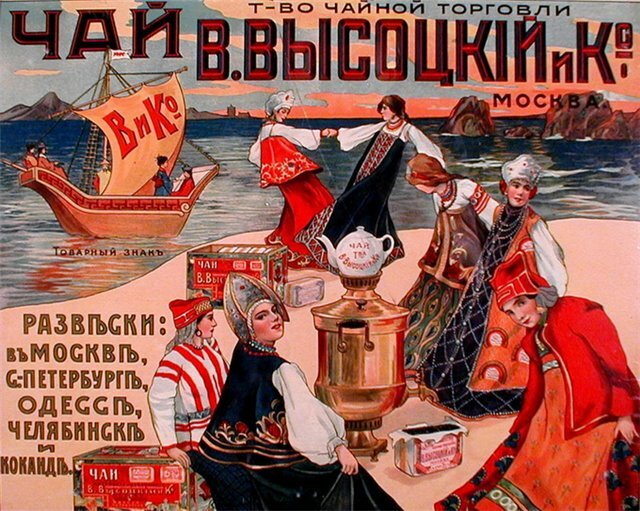 There is no evidence one way or another whether the brothers were related to the tea company family, although the name Vasily was the Russian name used for the Hebrew name Wolf, and in the 1908 directory there is another Vysotsky called Vasily Yakov, the same name as the founder of the tea company, Kalman Wolf Yakov Vysotsky. 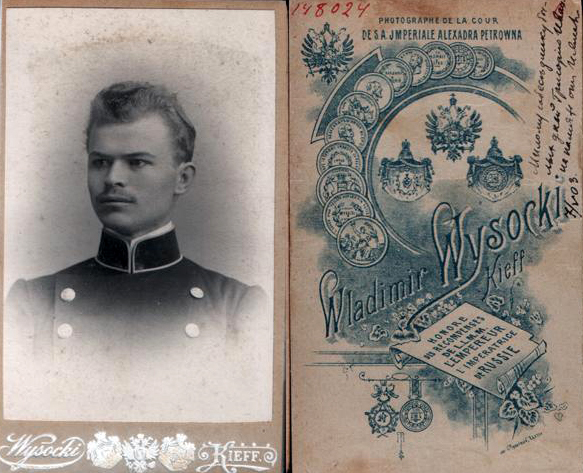 There was another Vysotsky, probably Leon and Vasily’s brother, Vladimir Victor Vysotsky (Polish spelling W Wysocki), who is listed as a photographer in Kiev in 1895. This family may have been from Kiev, from Odessa, or from somewhere else entirely. They are obviously an educated family but one where the children are making their own way, all in very different professions. They boarded the Titanic at Cherbourg. Mrs Abelson was rescued in lifeboat 10. Mr Abelson died in the sinking. 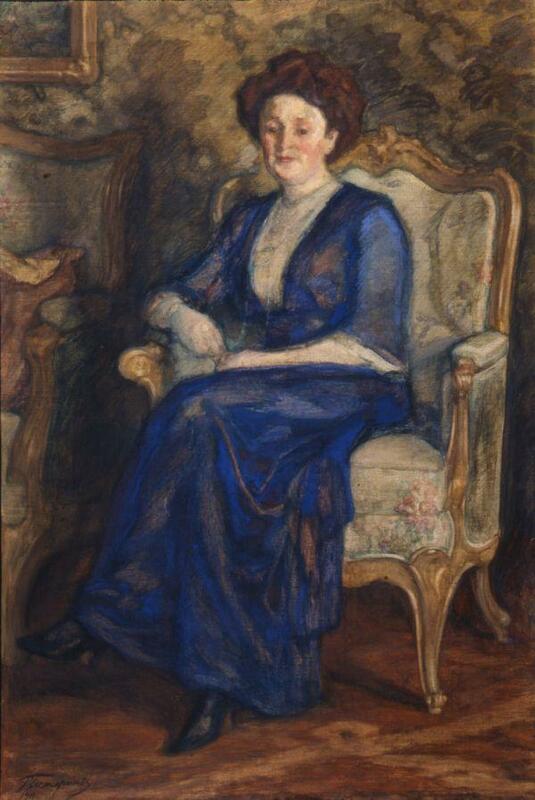 Anna returned to France sometime after the Titanic disaster, and then returned to America in 1914. On this manifest, equally blurry, Anna says that she is of French nationality, she gives a French address that could be an A Jacobson, she says that she was born in Odessa, and that she is going to an illegible name in New York City at the address: 720 W. 181 Street. There were no Wissotzkys living on the Upper West side at that time, but there were both Abelsons and Jacobsons living there at various times from about 1920, and in 1940 there were Abelsons and Jacobsons living on the same block of W180 Street. In 1920, Anna was living alone around the corner from West 181 Street on Pinehurst Ave. She has lowered her age to only 30, says she is French with French parents, and calls herself a designer at a dress shop. This was probably a necessary change of identity in order to be independent and work in an upmarket dress shop and live on the Upper West side. If she had been a Wissotzky none of this subterfuge would probably have been necessary. This is a very sad but also an interesting story in itself. Anna does not appear again in the records after 1920. No one seems to really know who Anna Abelson was, but her family does appear to have come from Odessa to work in Paris at a Wissotzky bank or financial business and one wonders about the close links between the Wissotzky family and Odessa. Two Odessan women from the Jacobson and Abelson families were deported to Auschwitz from Paris in 1944. And finally one wonders whether Abraham Lubarsky and the younger Wissotzky, who, during the pogrom, rushed to the hospital for proof of the slaughter going on to take to the governor, knew about the death of the prominent member of the Self Defence League, Leon Vysotsky, and knew the man himself.